7INK by Ollie is a 14-story residential building that developers are saying will include 250 shared suites and micro-studios. 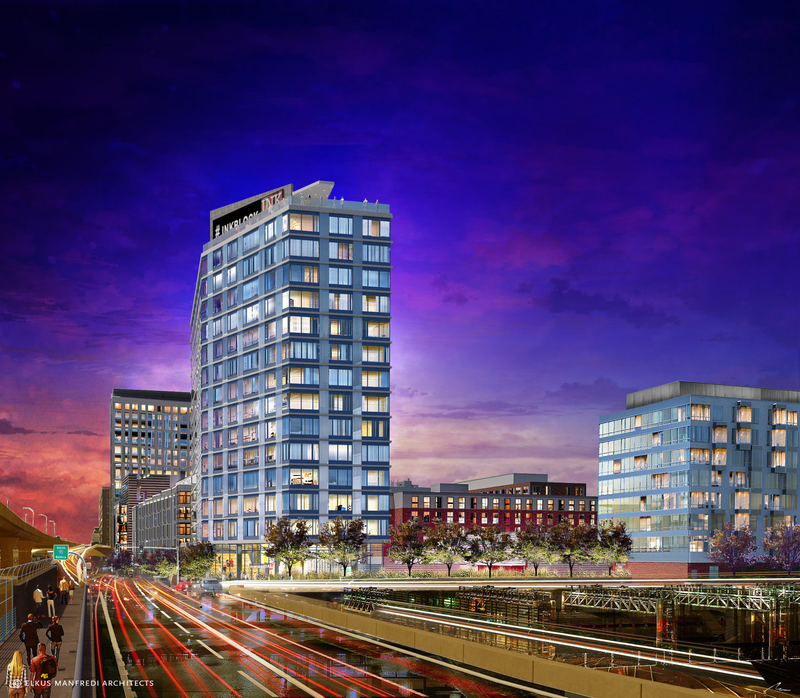 Scheduled to open in 2020, Ollie will be Boston’s first all inclusive, co-living development. Ollie will be located at the corner of Herald and Albany Streets on the former site of the Independent Taxi Operators Association building in the north east corner of the Ink Block. The building will provide a full range of services, unique community engagements and shared amenity spaces. The development will have additional perks such as coming furnished and receiving complimentary weekly cleaning with fresh linens and towels as well as bath amenities. For more information about the new residential building proposed by National Development visit their website at, ollie.co/boston. This entry was posted in SoWa and tagged BosGuy, Boston Guy, SOWA. Bookmark the permalink. Wow! I always learn so much, about so many things from your Blog! Thanks for keeping us informed.